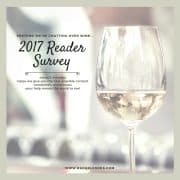 I’ve mentioned it my weekly newsletters, but in case you don’t subscribe, I’m currently conducing a reader survey. It’s extremely important to me to get your feedback. What’s working on my site? What do you hate? It’s completely anonymous (and mobile-friendly) and if you take it, I do so solemnly swear to continue bringing you delicious food all year long. So far, it’s looking like people are not so crazy about fashion posts. Which is actually great because my fashion sense is horrible. Maybe that’s why you guys don’t like those posts! It will take you less than 5 minutes (probably only 1-2 minutes) to fill out the survey and your feedback will help make this a great year for Rachel Cooks, and for everyone who eats your food! Thank you in advance! 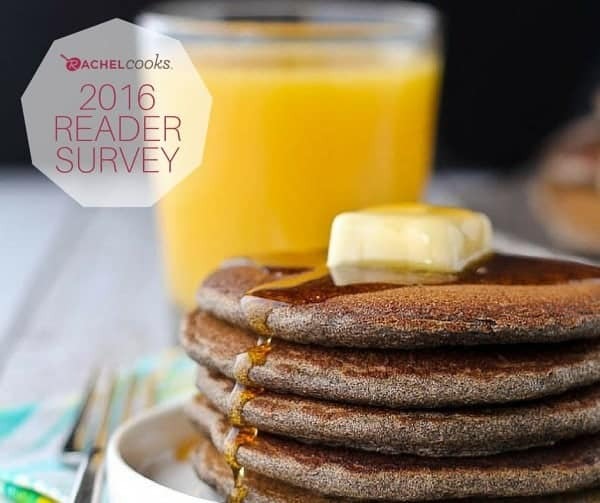 There would be no RachelCooks.com without you – I’m grateful for you and your feedback means the world to me. Click here to take the survey on mobile or tablet (or desktop too). If you do happen to be on a desktop, you can take my survey right here on my site (keep scrolling!). can’t find a link to submit this survey. Here it is: https://docs.google.com/forms/d/14Dr7ULlrVvXcwXXxLeckpgJyxrv9UxK9JYuuPi5qQTM/viewform Thanks!